Name the active ingredient and what is its pharmaceutical action? The active ingredient is “Ormeloxifene”16 also known as “centchroman.” Centchroman is a selective estrogen receptor modulator (SERM). It has some estrogenic effect (e.g., in bones) and some antiestrogenic effect (e.g., in uterus and breast). What is the mechanism of action of centchroman? •	Its antiestrogenic activity on the endometrium inhibits the fertilized ovum from implantation. •	It hastens the transfer of ovum from the fallopian tubes to the endometrial cavity, before it is ready for implantation. Mention the recommended dosage schedule for contraception. For the first 3 months: For initiation of the Centchroman (Ormeloxifene), the first pill is to be taken on the first day of period (as indicated by the first day of bleeding) and the second pill three days later. This pattern of days is repeated through the first three months. •	Delay in menstrual cycle in some women,15 but this occurs in around 8% of users and usually in the first three months. The periods tend to settle down to a rhythm once the body gets used to the drug. •	Periods can get scanty over time in some women. This is not harmful and will subside on its own. Has it been introduced in Indian family welfare program as a contraceptive? Mention the failure rate of centchroman as a contraceptive. Failure rate is 1 – 2 pregnancies per HWY. What if a Period is missed while on Centchroman (Ormeloxifene)? 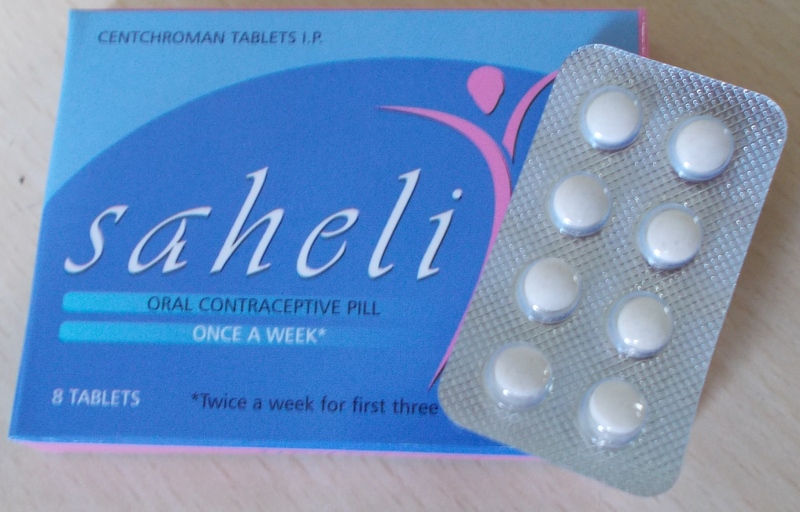 With Centchroman (Ormeloxifene), occasionally the menstrual cycle may get prolonged in some users. The contraceptive makes the periods lighter and the interval longer, which is not harmful and can actually be helpful for anaemic women. Mention the advantages of centchroman. •	Convenience of infrequent dose, i.e., once a week. •	Does not have the side effects which are commonly seen with hormonal contraceptives, e.g., nausea and weight gain. •	Does not have the adverse metabolic effects which are reported with hormonal contraceptives, e.g., no adverse alteration of serum lipids and no increase in platelet adhesiveness. •	Quick reversibility of fertility when the use is stopped. •	It is a safe drug with an excellent therapeutic index. •	Has shown potential as a postcoital contraceptive also. •	No congenital or developmental anomalies have been reported in births in case of contraceptive failure. Mention the disadvantages of centchroman. What may be the potential therapeutic uses other than contraception? 2. Park K. Demography and family planning. In: Park K. Park's Textbook of Preventive and Social Medicine, 24th ed. Jabalpur, India: Banarsidas Bhanot Publishers, 2017; pp. 525-52. 3. Saheli. Hindustan Latex Family Planning Promotion Trust (HLLFPPT). Available at: http://www.hlfppt.org/images/saheli.pdf. Accessed November 1, 2011. 4. Singh MM. Centchroman, a selective estrogen receptor modulator, as a contraceptive and for the management of hormone-related clinical disorders. Med Res Rev 2001;21(4):302–47. 5. Srivastava S, Sharma R, Balapure AK. Morphological and biochemical basis of centchroman as a novel antineoplastic agent in Mcf-7 human breast cancer cells. Indian J Pharmacol 2004;36:238–43.